While people with oily skin can’t stop cursing, those with dry skin are not behind on the complaint front. Flakiness and dry patches that refuse to go away even after applying an entire tumbler of moisturizer are not uncommon for people with dry skin. Deep moisturization, exfoliation, and toning are crucial to improving the skin texture when it comes to dry skin. And we have compiled some amazing skin packs that will help you treat dry skin issues. 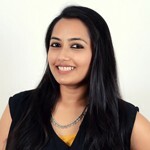 Read on to know more about them! Face packs for dry skin will improve the condition of the skin, while locking in moisture. 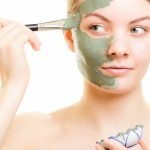 A homemade face mask offers the benefits of being natural and causing no harm to the skin. You can mix and match a few kitchen ingredients to concoct a fitting face pack in just a few minutes. Religiously add these homemade packs to your daily regimen to achieve soft, supple, and glowing skin. Peel and mash the cucumber. Add sugar to this and refrigerate it for some time. Apply it on the face and leave it on for 10 minutes. 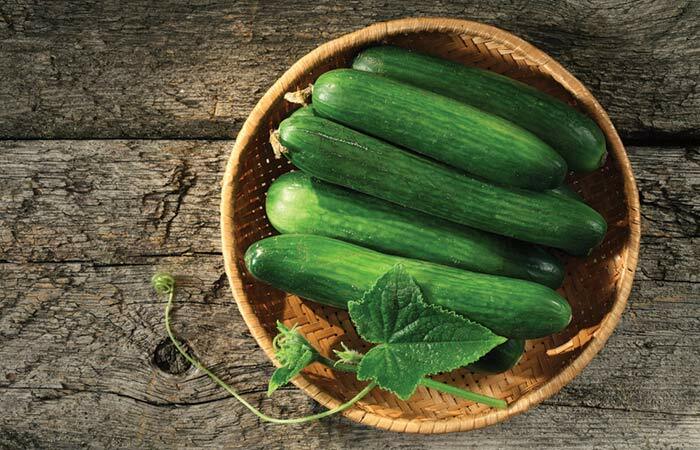 Cucumber gives skin a cooling and hydrating effect making it soft and supple. It is also very soothing for the itching sensation which is often seen with dry skin (1). Mix everything and apply on the face. Wash the pack off with cool water. This pack can be applied up to thrice a week. 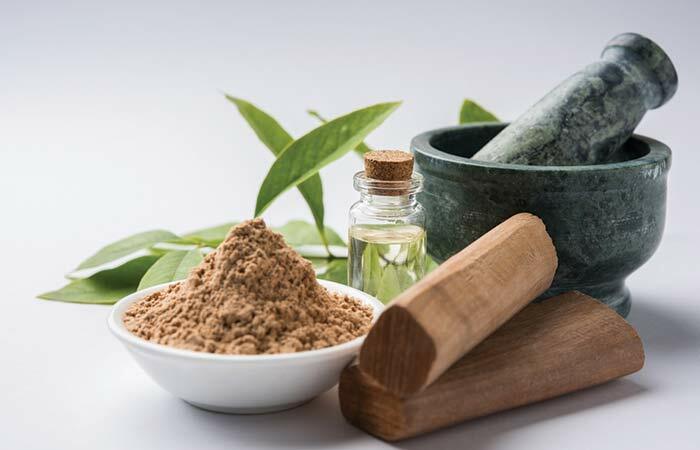 Sandalwood is known as ‘chandan’ in the Indian subcontinent. It is excellent for treating dry patches and flakiness on the skin. It is very cooling for the irritated skin and also possesses moisturizing properties. An improvement in the skin tone and texture will also be seen with the usage of this face pack (2). Beat the egg yolk along with the honey until they are thoroughly blended together. Apply this on the face and let it dry naturally for 10-15 minutes. 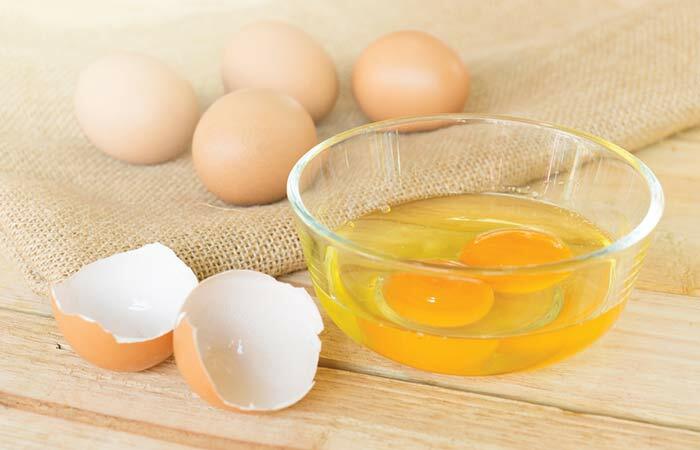 While egg white is beneficial to get rid of excess oiliness from the skin, the yolk can be used for an opposite effect. It is full of moisturizing fats that hydrate and nourish the dry skin (3). Add a teaspoon of almond oil and two drops of vitamin E oil to two teaspoons of banana puree. Follow the application procedure as given above. Repeat the application of this pack once every week. Banana has moisturizing, anti-wrinkle and anti-aging properties (4). 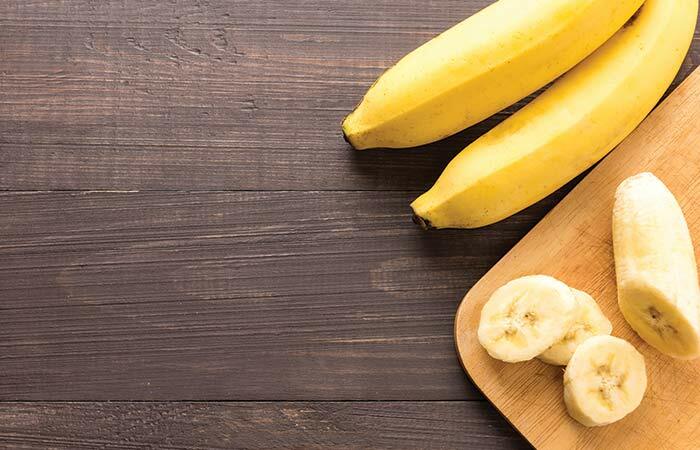 Along with the honey and olive oil, which are emollients themselves, this banana pack deeply moisturizes and conditions your skin (5, 6). The natural sebum production by the skin can be easily regulated with this face pack. Extract fresh watermelon juice and add honey to it. Mix them together and apply on the face. Leave this on for about 20 minutes and then wash it off. Depending on how your skin is responding to this face pack, you can use it up to thrice a week. 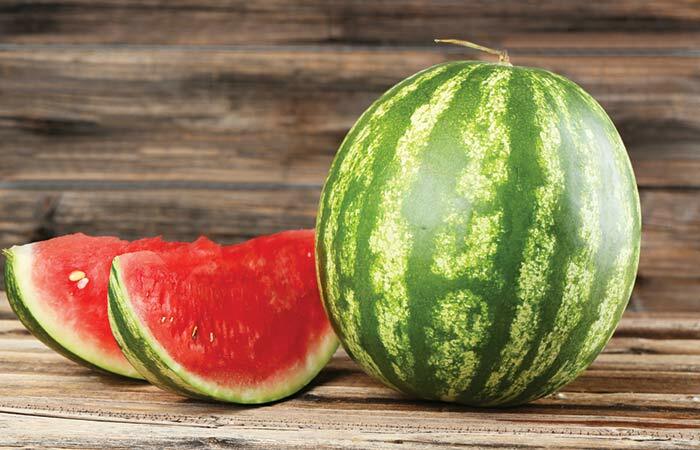 With its high water content, watermelon becomes favorable for use on dry skin. The honey helps to lock in moisture being provided by the watermelon. This delicious fruit also repairs your skin that has been damaged, especially due to oxidative stress (7). Take the rose petals and crush them gently. Add the oats to this along with enough water to get a paste of medium consistency. Apply the face pack and keep it on for 10-15 minutes. For added benefits, wipe your skin with a cotton pad or cotton ball soaked in rose water. 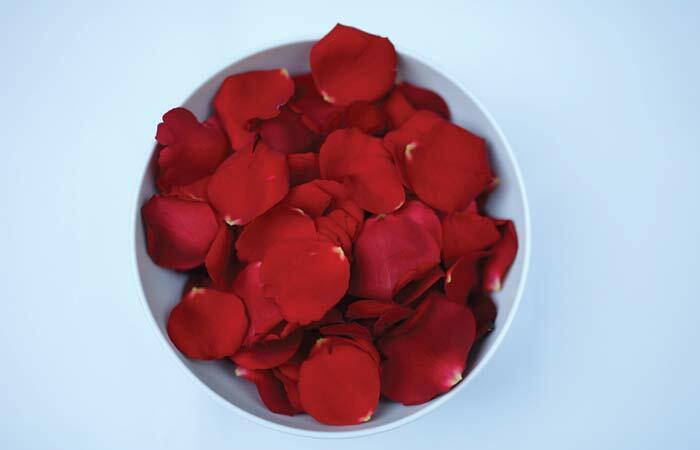 Rose petals work as a skin tonic and have an astringent-like effect on the capillaries just below the skin surface (8). This enhances the delivery of nutrients to the skin’s surface and can help to get rid of the dryness. Oats are moisturizing for the skin (9). Add honey to the multani mitti powder and mix well. Add some water to get the right consistency of the paste. Apply all over the face and let it sit for about 10 minutes. 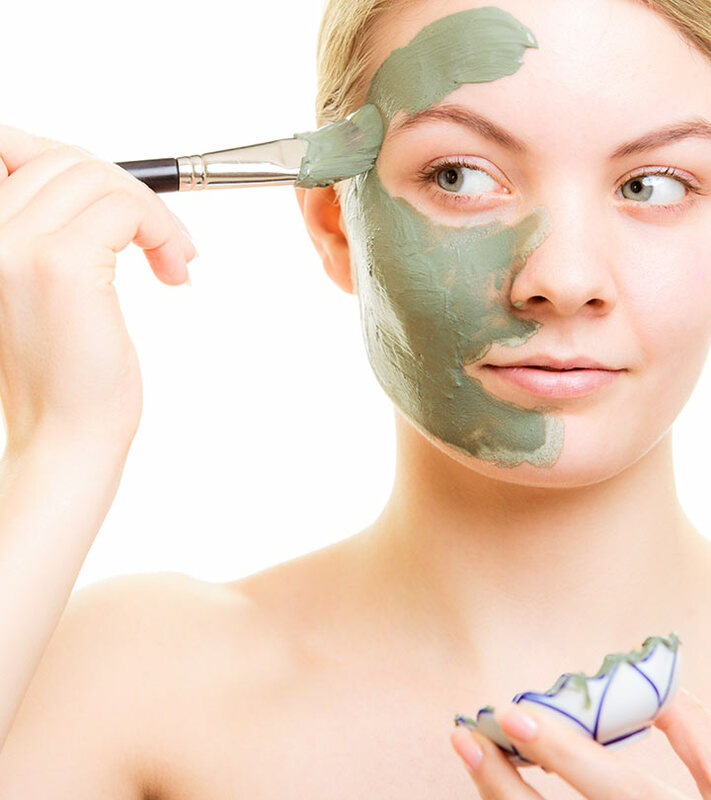 Fuller’s earth or multani mitti is often used in oily skin face packs. Do not get scared to use it on dry skin as the right combination of ingredients can make a vast difference in its effects on the skin. It improves blood circulation and has an exfoliating effect on the itchy and dry skin (10). Combine the oatmeal with the orange juice and apply on the face. Wash off the face pack after 15 minutes. 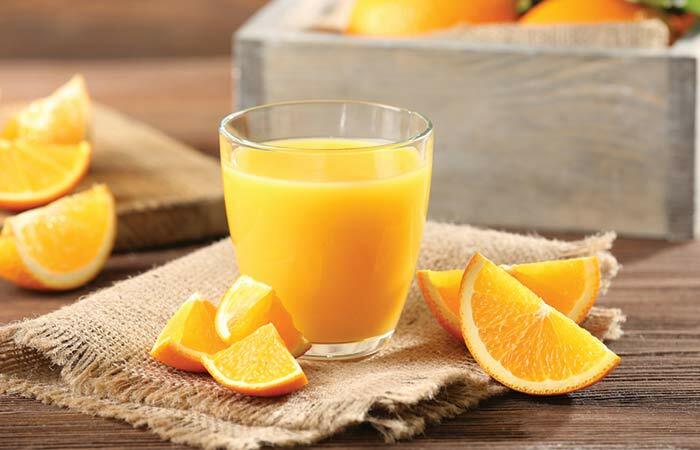 Orange juice acts as a skin toner and balances the skin’s pH. This restores the healthy oil production process of the skin. It also helps to repair the skin and diminish wrinkles as it is rich in vitamin C that helps reverse free radical damage and increase collagen production (11, 12). The oatmeal is the skin moisturizing and hydrating agent in this face pack. Apply on the face and leave it on for 15 minutes. This face pack can be applied twice a week. 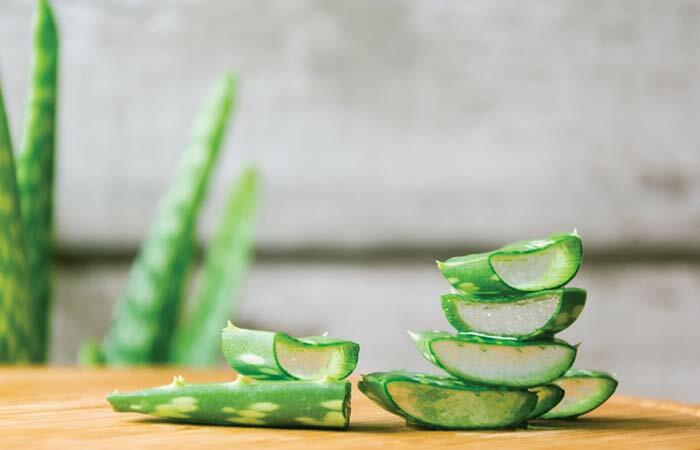 Aloe vera hydrates and rejuvenates the skin. 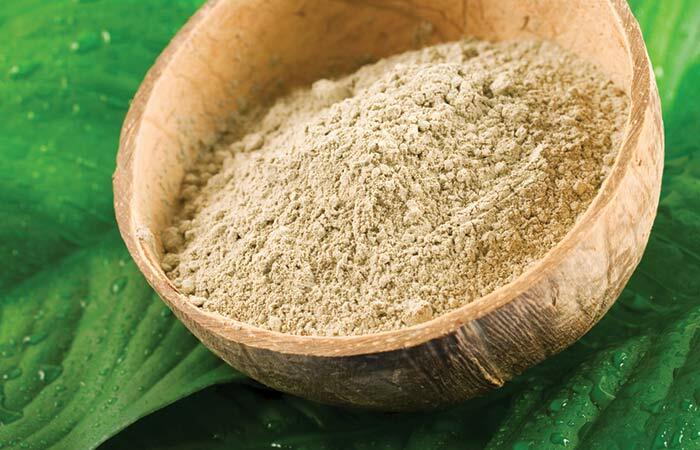 It has antioxidant, anti-inflammatory, healing, and moisturizing properties (13). Your skin will not only be moisturized after using this pack, but it will also be glowing and radiant. Combine the rice flour, oatmeal, and honey together. Apply this on the skin. Let it sit for 15-20 minutes before washing it off with water. Apply this face pack once or twice a week depending on how dry your skin is. 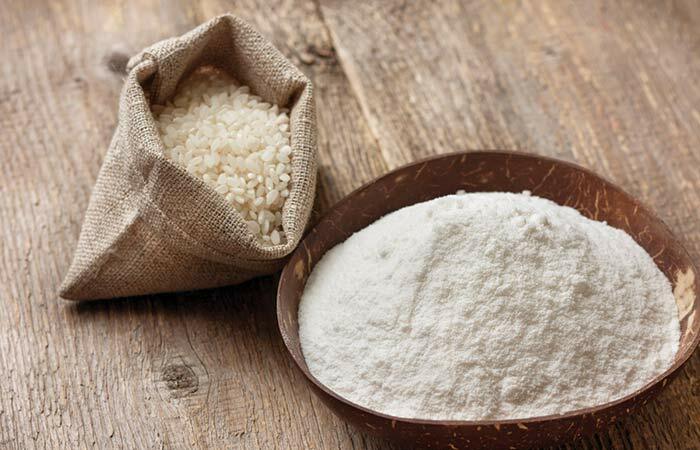 Rice flour helps to remove the dead skin cells and hence get rid of the flakiness. It also makes your skin firmer and brightens up your complexion (14, 15). Soak the almonds overnight and grind them along with the other ingredients to get a smooth paste. Apply the face pack and rinse your face after 15 minutes. Repeat this once in every 3-4 days. 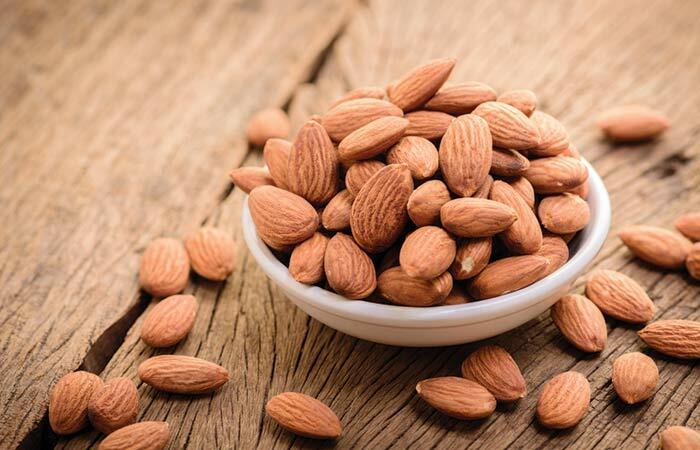 Almonds nourish the skin with healthy oils, and vitamin E. These rejuvenate and hydrate your skin thoroughly (16). Oats moisturize the skin, and the yogurt tightens it making it soft and supple. Mix all the ingredients to make a smooth paste and apply all over the face. This pack can be applied twice a week. 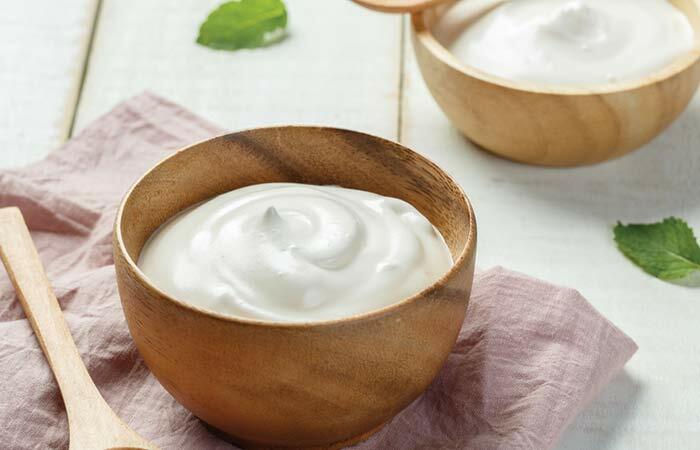 Yogurt is rich in healthy natural fats and skin exfoliating acids. These acids get rid of the dry and flaky skin and the fats moisturize the skin (17). Mix the turmeric in the milk. Apply this on the face using the cotton ball. Leave it on for about 10 minutes and then rinse it off. Do this once in every 2-3 days. 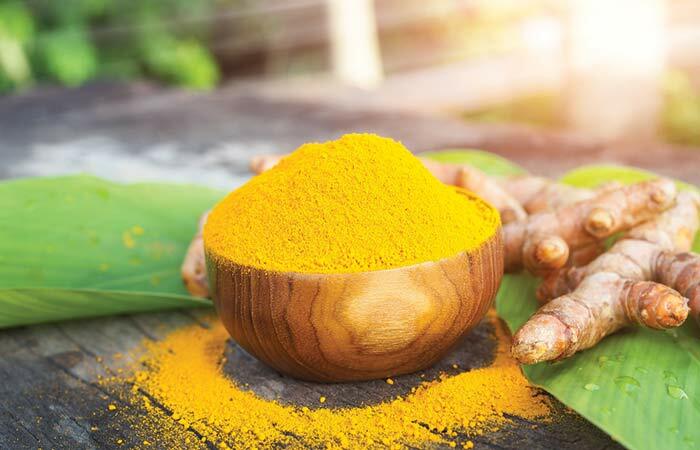 The antioxidant and anti-inflammatory properties of turmeric can revamp your skin and restore its natural suppleness and glow (18). If you are allergic to dairy, do not use this face pack. Apply it on the face and wash it off after 10-12 minutes. 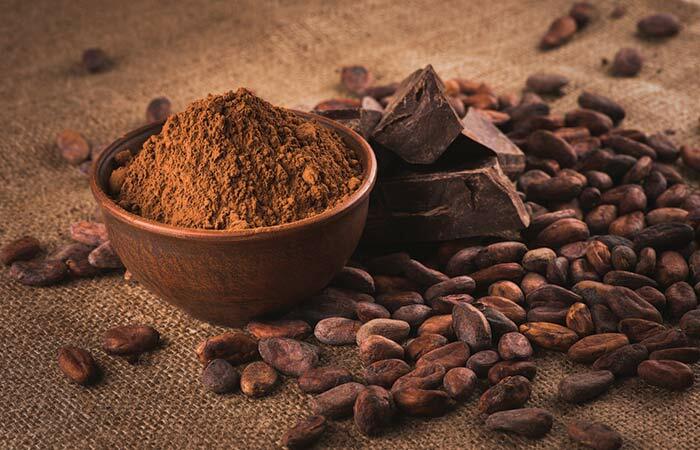 The antioxidant and cleansing properties of cocoa freshen dry, dull, and tired looking skin. It invigorates the skin and gives it a natural glow (19). The coconut milk in this face pack is extremely moisturizing for the dry skin (20). To the mashed avocado, add the honey and rose water. Mix everything together and apply on the face. Keep this on for 10 minutes and then rinse it off with lukewarm water. 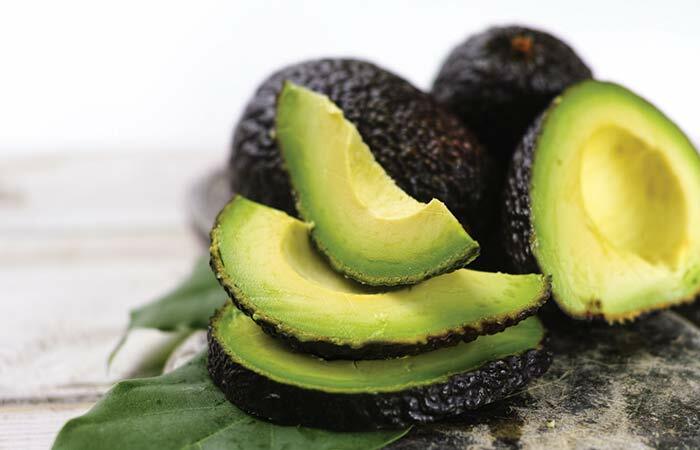 Avocado is incredibly nourishing and nutritious for dry skin. It is full of healthy fats that have a wonderful moisturizing effect on the skin (21). Combine the ingredients together and apply liberally on the face. Wash this off after 10 minutes. Repeat the application of this face pack once in every 4-5 days. This face pack is excellent for dry skin in the hot summer months. 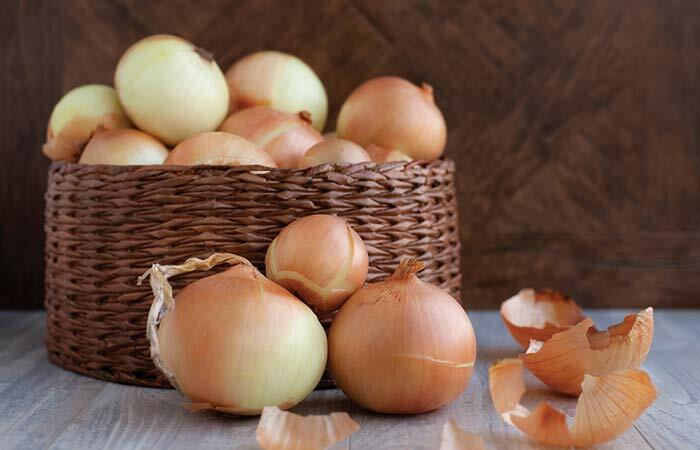 Onion juice soothes the skin, removes the dead and dry skin cells, and also hydrates your skin (22, 23). For ladies with mature skin, this dry skin face pack can also help you to achieve wrinkle-free skin that you have been yearning for. Mash the strawberries and then add honey, oatmeal, and some water to it. Get a paste of medium consistency and apply this on the face. Apply this fruit pack up to twice a week. 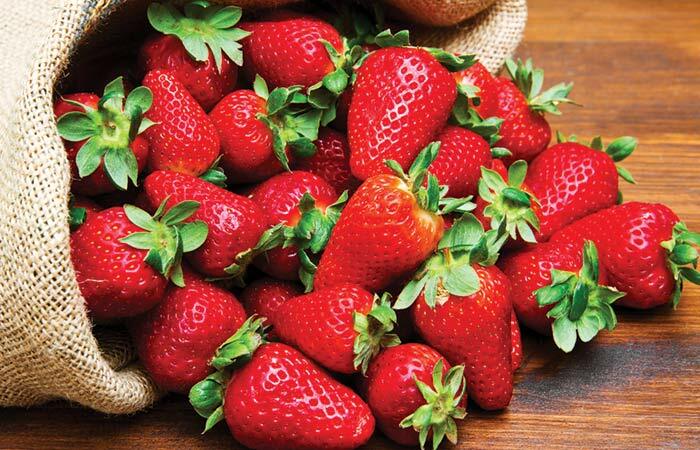 The vitamin C content of strawberries helps to get rid of the dryness. It can conveniently remove the dead cells and not dry up the skin. On the contrary, it is actually a skin moisturizing and softening ingredient. It is also excellent for reducing wrinkles, brightening up the complexion, and tightening the skin (24). So many different ingredients and so many combinations that can be prepared with them to soothe your skin and get rid of dryness. If you have not used any of these ingredients before, it is best to conduct a small patch test before applying that particular ingredient on your face. As they say better be safe than sorry.